The October Glossybox was named the Dark Romance, taking into account some of this season’s hottest Winter trends. Here is my full glossy box review (including a couple of discount treats) of the October Glossybox. Me Me Me Cherub’s Blush, Cheek & Lip Tint – For the ultimate sultry look this cheek and lip tint is great to give you that little bit extra. Giving a natural but strong flush of colour across your cheeks and on your lips a more natural tint. It is great to build up on your cheeks and a favourite amongst celebs and beauty bloggers! As I have a darker skin tone I prefer a full on blush and lipstick rather than just a tint, but if you have a fairer skin tone this Cherub’s blush is perfect for a more dramatic look. Monu Illuminating Primer – The great thing about Glossybox is that I get try some real hidden gems that I would never have come across unless it was in this month’s beauty box. I love this primer that instantly brightens my complexion with its light reflective formula. I have been using it under my foundation or tinted moisturiser, but for natural ‘no make-up’ glow you can wear it alone. As well as giving your skin a flawless glow, the Zinc Oxide in the product provides a barrier against the sun’s harmful rays, and the Cassia Alata Leaf Extract reduces the visible signs of photo-ageing and protects the skin against UV damage. If you want to try this product you can receive an exclusive 10% of by entering the code GLOSSY1 at the checkout, offer ends on the 11th of November. 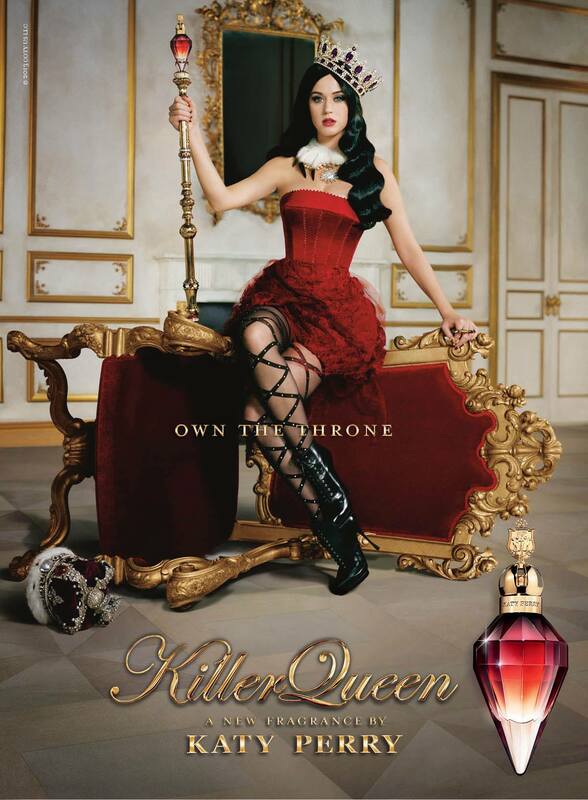 Katy Perry, Killer Queen Fragrance – This sample didn’t last long as I used it everyday until it ran out! I was pleasantly surprised by this fragrance, it is a lovely scent with a cheeky side complimenting Katy Perry’s spirit. I also love the lasting scent so you don’t have to keep re-spritzing! Premae Multi-Vit Smoothie Serum – If you have combination skin, this product is the skin saver for you. With grapeseed which is the unique formula which helps to soothe redness and hydrate the skin as well as keep it shine free with a matte finish. Work this product into your daily skincare routine, morning and evening just before moisturising. To use as the ultimate BB cream mix the Smoothie Serum with a liquid foundation! Eva Cosmetics Mystic Diamond Argonoil – The combination of the infamous argonoil and diamond powder gives hair unbelievable shine and nutrition. A little goes a long way so you only need the smallest amount applied to wet hair. Then enjoy diamond shiny and frizz-free hair!